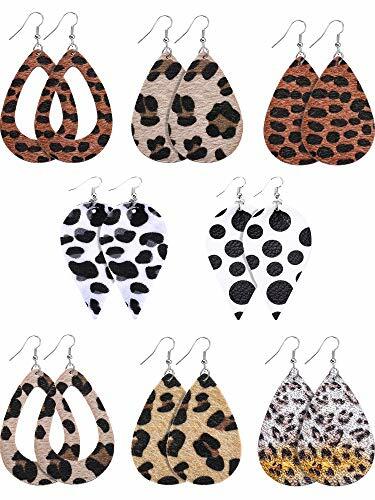 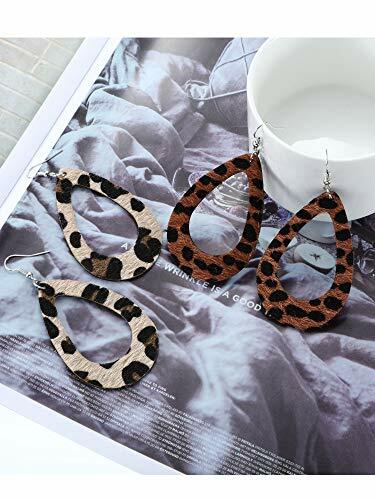 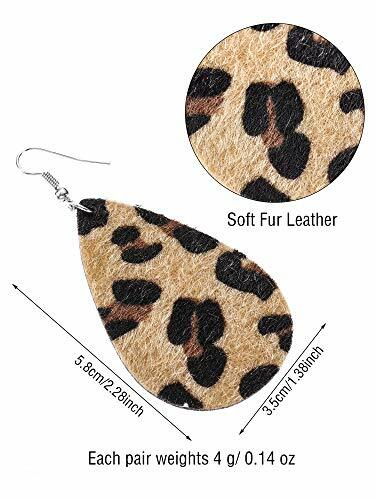 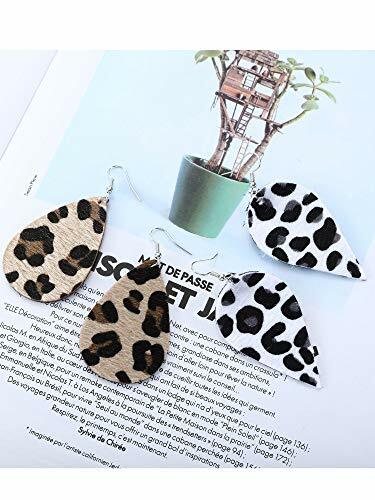 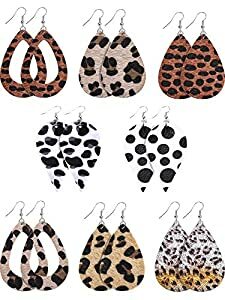 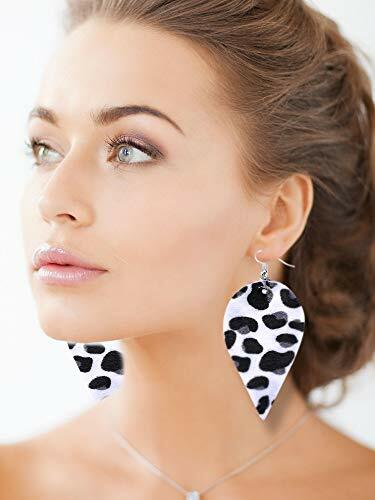 These leopard print earrings material is faux leather, fur and iron, durable and soft; Craft cutting, detail has been handled carefully; Lightweight and comfortable to wear for a long time. 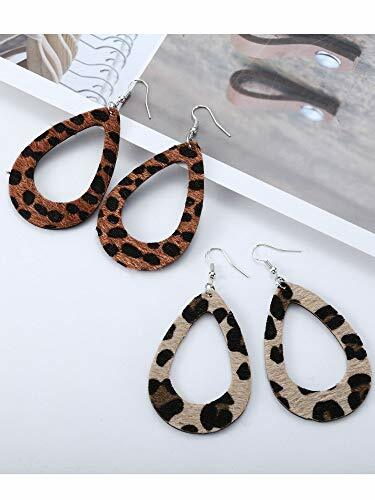 Package comes with 8 pairs different style leather earrings, providing you various choices to meet your needs; Exquisite workmanship will bring you a wonderful shopping experience; you can enjoy them yourself or share with your family or friends. 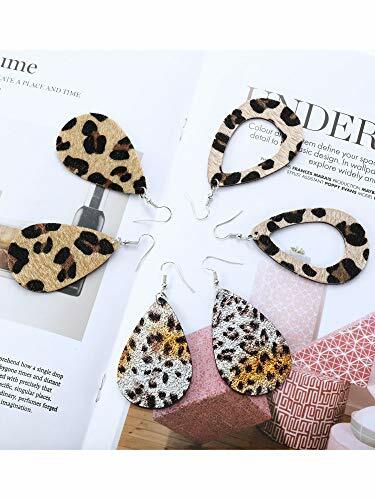 These eye-catching leopard print earrings are wonderful complement for your dressing, popular with women and girls; Can be applied in various occasions like wedding, party, ceremonies, birthday, banquet and daily wear.